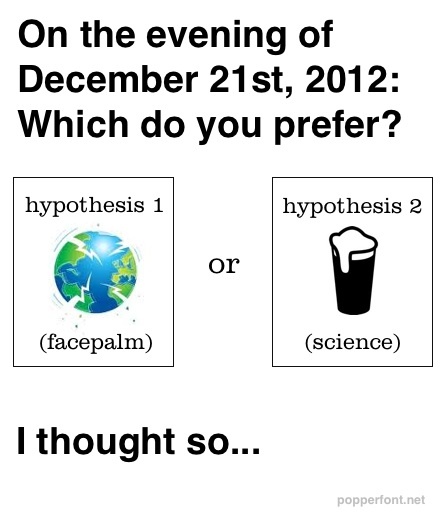 On the evening of December 21st, 2012: Which do you prefer? 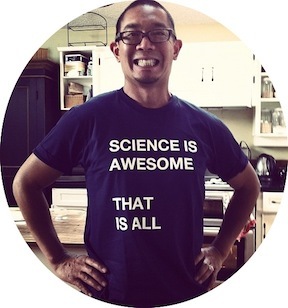 Just a note for the general global sciencegeek community at large. I invite you all to have an upstanding drink and toast on the night of December 21st, because (you know) it’s not an Apocalypse, it’s a Nerdpocalypse. At least that’s what the science says. (And if you’re in Vancouver, feel free to pop by the Railway Club at 6pm on, where some of the local Science Scouts and Nerd Nite folks will be on hand to collect data on the prospect of hypothesis 2. We’ll be at the back, and give me a heads up so that we make sure our numbers are doable for the place – @ng_dave).